Karakol – Sirota Hut, up to 11 km. 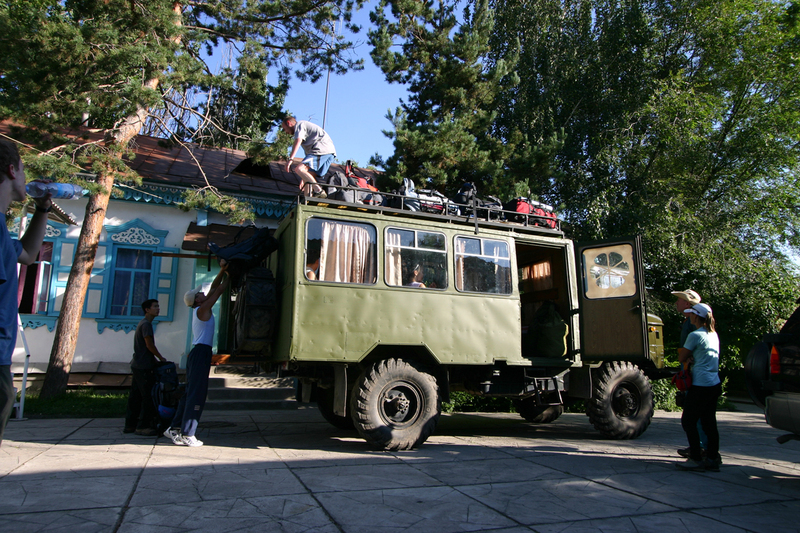 Transfer up to Karakol Gorge. 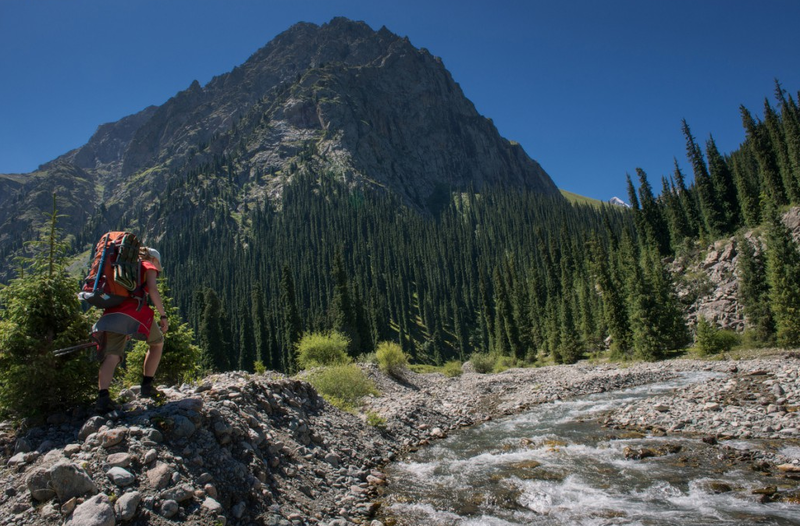 We will go along the fast raging Karakol river till we reach Auu-Tor meadow . We will hike to the forest oasis named Sirota Hut at 2900 meters. Sirota means 'orphan' in Russian, all thanks to the dried, rocky valley where it stands. There we will rest in a little alpine hut, that was built several years ago by mountaineer enthusiasts. Sirota oasis is an area with captivating beauty, distinct landscape and tremendous views. There we will see the neighbouring valley with its corner peak Auu-Tor. 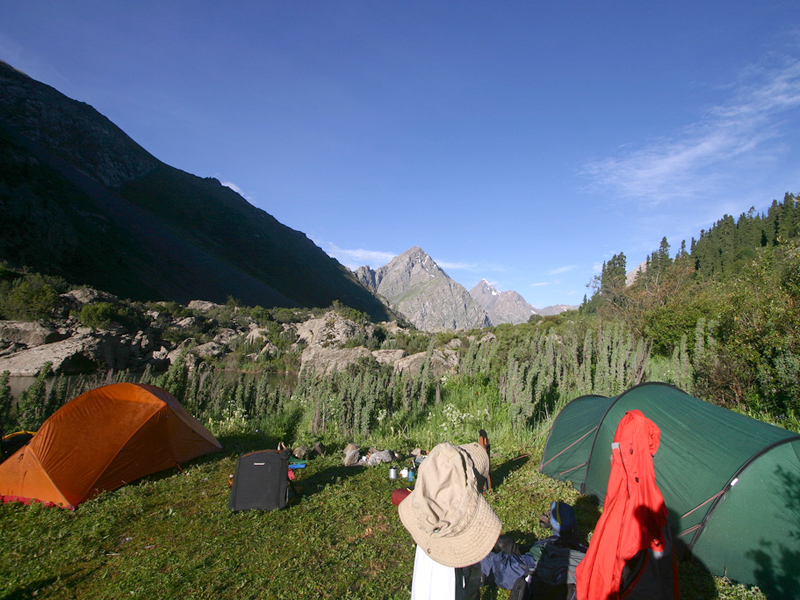 Your campsite tonight will be on the river bank, flowing down from Ala-Kul lake from high above. + 600 m., 5-7 hours of Trekking. 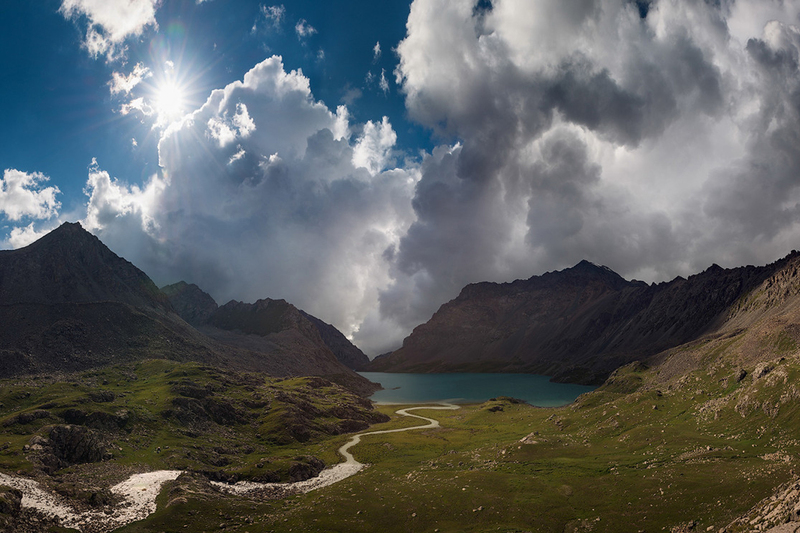 Trekking to Ala-Kul Lake, up to 9 km. 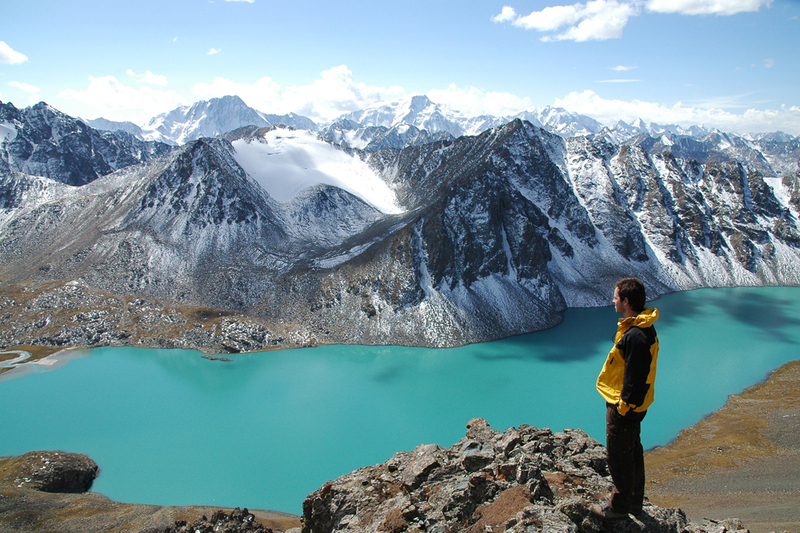 Next day we will venture towards the pristine diamond of Karakol Gorge - the Ala-Kul Lake. It is known for its changing colours and location above 3500 meters above the sea. Water colors changes from greeny-azure to violet. Color shifts happen every hour, depending on weather conditions. Lunch on the lake shore. Ascent to Ala-Kul Pass at 3860 m. This pass provides flat summit as a good foothold for taking of Terskey Ala-Too highest points: Karakol peak at 5273 m., Djigit and Oguz-Bashi Peak. Those peaks create ridge that goes across the horizon from east to west. Descent to the gorge of Keldike. +850 m. 5/6 hours of Trekking. 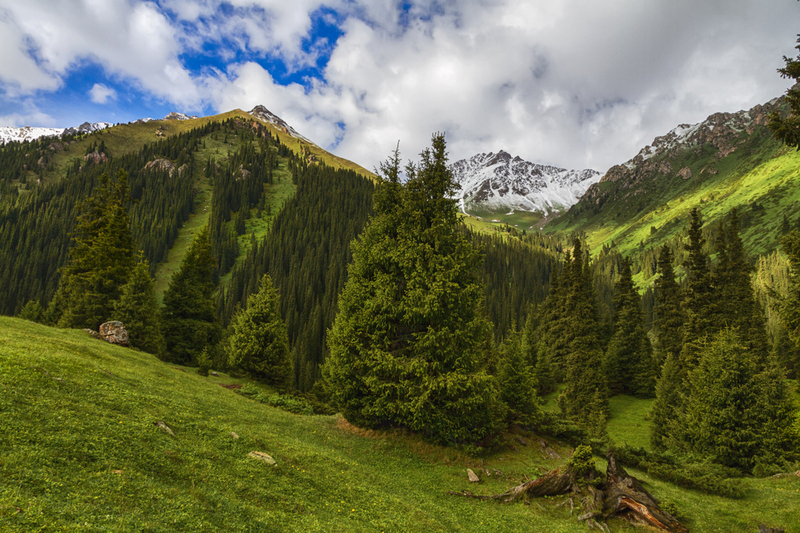 Trekking to Altyn-Arashan Gorge, up to 11 km. We will have a breakfast and then go down to the Altyn-Arashan Gorge. It is famous for Hot Sulphur springs, that flow in this area. Evening is dedicated for leisure activities, bathing! Overnight in guest house between snow-caped mountains. -1100 m., 4 hours of Trekking. 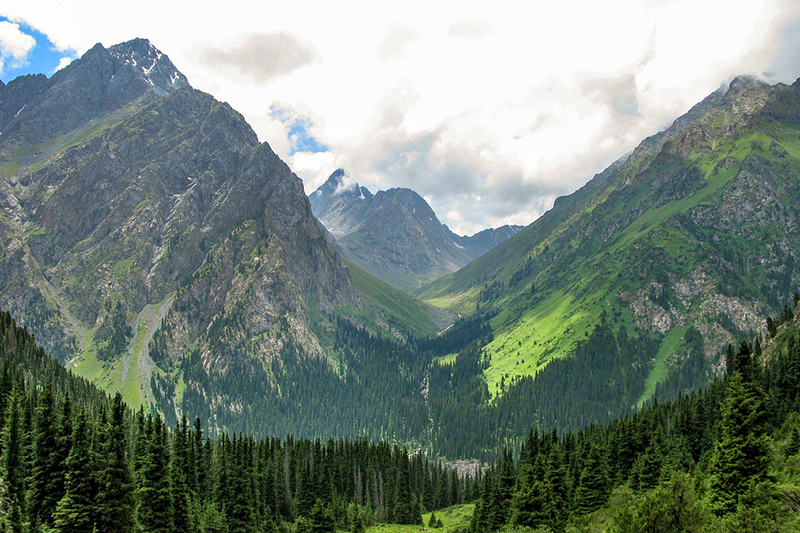 Altyn-Arashan Gorge – Karakol, up to 10 km. 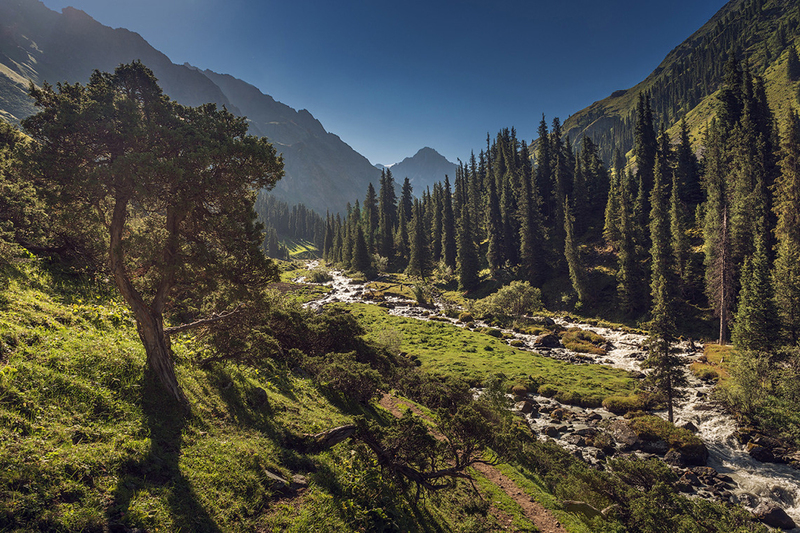 Today's morning we continue our leisure activities coupled with exploring Altyn-Arashan Gorge and we will visit mud baths. At the afternoon we will go down along the Arashan river towards Ak-Suu village. 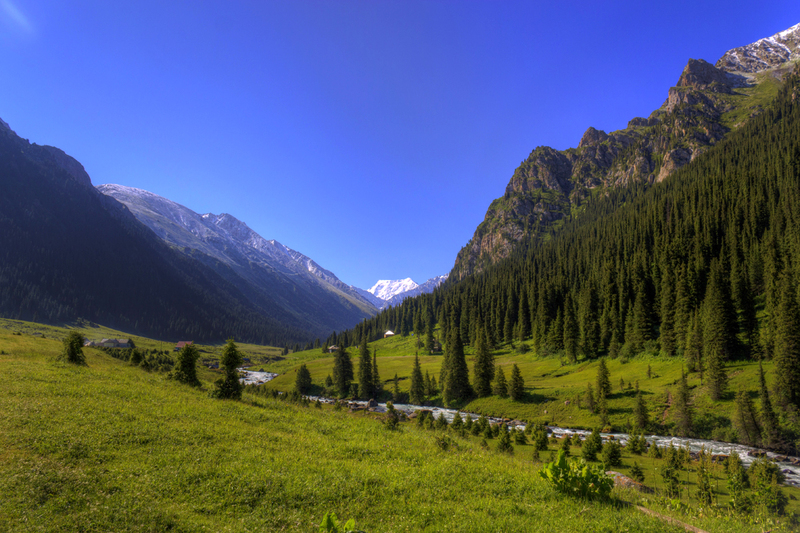 Then we go back to Karakol, and our tour comes to an end, but with numerous breathtaking memories for you to take home. -450 m., 3-4 hours of Trekking. This program is for people who can go on foot for 6-7 hours per day. Kyrgyz visa is not required for citizens of the following countries: CIS, EU, the U.S.A., Switzerland and Japan. A passport valid at least for 6 months is needed. Compiled program is exemplary. It can be changed due to schedule flights, weather conditions or your individual order.